I love a slow cooker. I still have the one my mother in law bought for me on my 20th birthday. The cord has been wired back together because one time, I put the crock in and turned it on, not realizing that the cord was between the crock the metal rim of the electrical, get hot, pot part. The wires melted in two, and there was a loud pop and smoke as the whole thing shorted out. Thankfully, I am married to MacGyver and he had it fixed in a jiffy. Dinner saved! Then I had to buy a new lid on eBay a few years ago because mine fell of the counter the top handle broke off. It still works great but I am ashamed to carry it anywhere! In Texas, we call all slow cookers, crock pots and they are great for busy people. 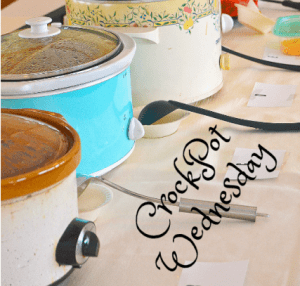 I hope to share a crock pot Wednesday recipe every week or so to help you out. 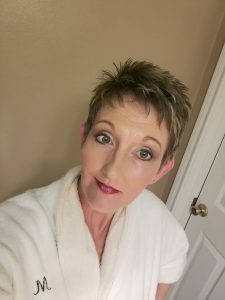 Nothing like being able to get things done during the day while your dinner cooks, or come home from work to house that smells like someone else has been cooking! This recipe is super easy and my family loves it. Place the roast in the crock pot and poke holes in it. Sprinkle with seasoning and pour the jar of peppers over the top – juice and all. That’s it! It you want to get fancy, you can toast your sub buns. Does having a bad morning make a bad day?